At last the wait is over for Windows users to get their hands on Vine, Twitter’s six second video recording and sharing social media app, is rolled out for Windows phones. It’s time for Windows users to relish themselves after a much loathsome wait they had to suffer. Earlier this year, Chris Weber, head of global sales and marketing for Nokia already teased the likely release of a Windows version of social video-capture app and it seems he was well wired. Vine for Windows has more or less the same look and feel as far as the interface of the app is concerned. Same tap and hold procedure to record or cut our any video or screen sharing. Ghost and TimeTravel, on-screen grid and ghost mode for animation, time-lapse editing, explorer for content searches based on popular trending posts around the web are some of the new additions perks for the Windows users. You can easily pin your accounts to your home screen, making it easy to simply log in and start sharing. Switching between the apps that was a real fuss in iPhone and Android versions of Vine is revamped for Windows and now you can easily pivot around the apps without any lags and delays. Vine for Windows makes the best use of the Tiles and alert you in case of any update, notification or share from the community. It also uses the Windows lens to capture the six second videos in tweaked up quality, spicing up the video sharing mania. You can also make short films and GIF animations using the grid mode, specially designed for Windows version of Vine. 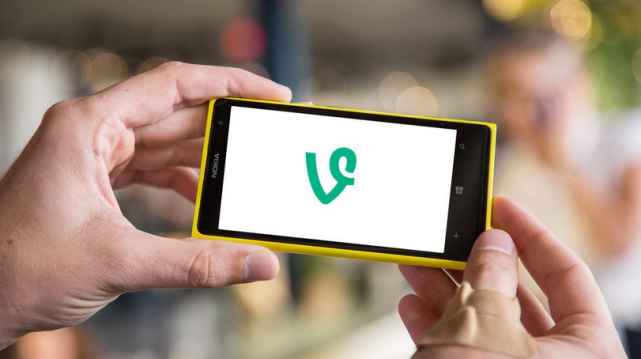 Vine is just a figment of the upcoming social app frenzy for Windows phones. Instagram has already announced that they will release the Windows version any time soon. Path and Flipboard are also scheduled for release for Windows phones. 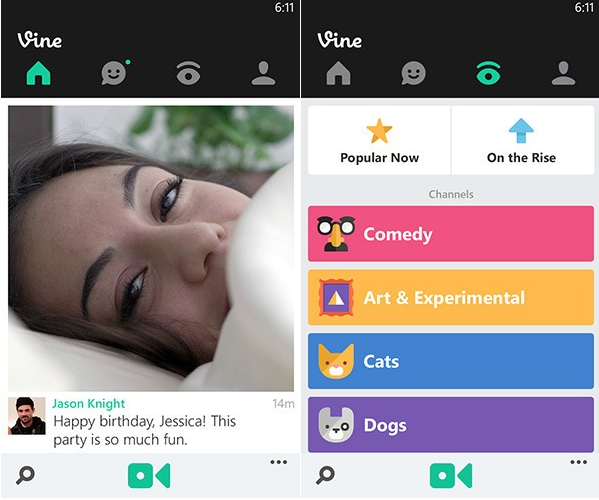 Started as a video editing tool in January, Vine hiked up quite swiftly than we expected. At start, Vine was used to mesh together edited bits and pieces of videos and GIF patches to make a quick six second video. It claimed to reach about 13 million users in June this year and by August, Vine’s access span touched 40 million users. Vine’s roll out for Windows has been confirmed on the official blog of Vine.